German Chancellor Angela Merkel's approval ratings are swiftly plummeting amid the ongoing migration crisis in Europe, which she has failed to contain, according to media reports. In this regard, the German news network Deutsche Welle said that at least 70 percent of Germans have long been seriously concerned over Merkel's "welcome culture" with respect to refugees. Merkel continues to lose support and the trust of the population because of her open-door asylum policy, the German commercial television channel N-TV said, citing recent polls that showed only 46 percent of respondents supporting Merkel, the lowest rating the German Chancellor has had since 2011. According to a survey conducted by the Erfurt-based Institute for New Social Challenges, about 40 percent of German citizens are demanding Merkel's resignation because of her migration policy. In contrast, less than 5 percent of respondents believe that the refugee crisis doesn't constitute a sufficient reason for Merkel to step down, the German news magazine Focus reported. Deutche Welle, for its part, slammed Merkel for unilaterally opening Germany's borders to refugees without getting the go-ahead from the country's parliament and the EU, not to mention the German people. Some media outlets went even further, by claiming that Merkel actually refused a dialogue with her own people, which led to Merkel finding herself in a moral and political isolation, something that she still denies. 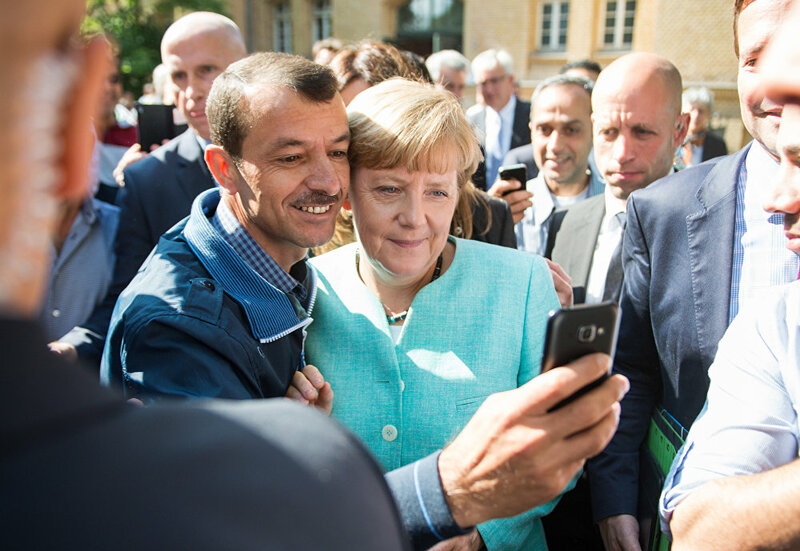 Merkel has claimed the country is able to deal with the growing number of refuges, many of whom believe Germany is the most desirable destination in Europe. In 2015, 1.1 million refugees crossed into Germany, and more have the potential to arrive in 2016. One of the factors contributing to Merkel's falling popularity is the recent wave of sexual harassment attacks against women by refugees across Germany.